Bring Your Own Big Wheel (BYOBW) is an annual Big Wheel race down Lombard Street, San Francisco’s famous crooked street. 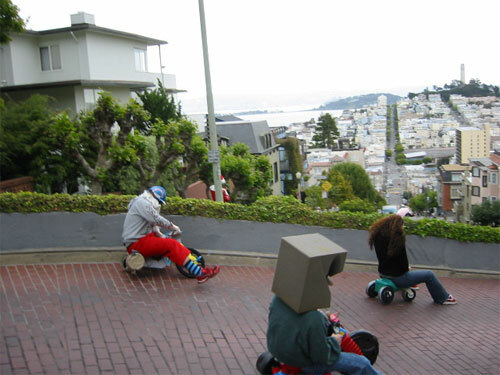 Now in its 6th year, BYOBW takes place this Easter Sunday, April 16th. Here’s a video by CTP and some photos by robot138.com of previous races. Please invite your friends and families! UPDATE: Here are some video and photos from Saturday.